According to figures from the Royal Society for the encouragement of Arts, Manufactures and Commerce (the RSA) women have both borne the brunt of jobs ‘lost’ to automation and austerity in the last decade while missing out on the best-paid new jobs. 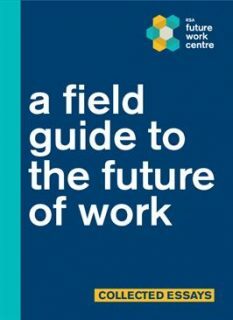 ‘A Field Guide to the Future of Work’ released last month by the RSA Future Work Centre – established following RSA chief executive Matthew Taylor’s employment review for the Prime Minister – explored jobs growth and decline at the “sharp end of the labour market”. Among the top 20 fastest growing occupations are programmers and software developers (up by 60 per cent, or by 136,000 people); HR managers and directors (up 68 per cent, or 82,000 people); care workers and home carers (up 10 per cent, or 71,000 people) and ‘elementary storage occupations’ including warehouse workers (up 19 per cent or 76,000 people). Meanwhile the top 20 fastest shrinking occupations are retail cashiers and checkout operators (down by 25 per cent, or 59,000 people); bank and post office clerks (down by 26 per cent, or 39,000 people); telephone salespersons (down by 45 per cent, or 24,000 people) and administrative occupations in central government (down by 35 per cent, or 89,000 people). But the RSA warns of a “double-whammy” hurting female workers, as women appear have both lost out on the best paid jobs in the “new economy” and borne the brunt of austerity measures in the public sector: they account for 112 per cent of the job losses among teaching assistants (more than 100 per cent, due to an increase in male teaching assistants), 81 per cent of the job losses by social service managers and directors, and 74 per cent of the job losses in administrative occupations in central government. Women have also lost out in the loss of private sector roles, particularly as retail cashiers, personal assistants, hairdressers and banking clerks. Many jobs in the ‘new economy’ are well-paid, including roles as programme developers, financial managers and HR directors, all of which pay more than £20 per hour. But many occupations are associated with insecurity in the gig economy – such as van drivers and elementary storage occupations (which includes warehouse staff). Administrative and senior managerial roles in the public sector dominate the list of fastest shrinking jobs, alongside customer-facing roles in troubled sectors such as banking and retail. And in a majority of the professions in the fastest shrinking jobs list, women have lost out more than men. Of the top 20 shrinking occupations, almost 400,000 (392,854) of the jobs lost were occupied by women. Exponential rise in computing power – Technologist Calum Chace argues that the doubling of computer power every 18 months is powering automation and will lead to the decimation of industries. The quantified workplace – Academic Phoebe Moore warns that employers are deploying AI to ratchet up workplace monitoring and surveillance. This includes recruitment algorithms that can sift through and assess CVs, and which if not managed carefully risk exacerbating bias in hiring decisions. Benedict Dellot, Head of the RSA Future Work Centre, said: “The advent of autonomous vehicles, personal voice assistants and picking and packing machines in warehouses shows that the age of automation is well and truly upon us. “Contrary to what many people believe, this has not led to widespread job losses. “Unemployment is at its lowest level in 45 years, and many good quality jobs are being created in the high value technology sector. “But the forces of creative destruction can be brutal for those on the losing side,” Dellot continued. “The evidence is stacking up that women are being left behind in the new economy. “The cliché of tech bros is entirely warranted. Barely 1 in 20 new coders and programmers are women. “We knew that the tech industry was highly gendered, but the scale of the problem is shocking. “The good news is that there is time to respond. We are still in the early stages of the age of automation and many jobs are yet to be affected. “The challenge for government, employers and educators is to make sure the 2020s play out differently to the 2010s, so that everyone – regardless of gender, age or location – shares in the spoils of new technology. Sean Nesbitt, partner and employment law expert at Taylor Wessing, said: “It is right to focus on reskilling and lifelong learning. “At a time when retailers and other employers are under huge pressure to adapt their cost bases, they need policy- based encouragement and support in taking the long view to contribute to the education of the workforce. “Right now, employers have their own double whammy: they are facing a wave of equal pay litigation brought by those women whose current jobs are declining and who compare their earnings with male-dominated “new jobs” in logistics. “The surveillance and data economy could work to women’s advantage in demonstrating similar levels of productivity – as long as rights aren’t abused in gathering data, and it’s accessible to the people it’s about. To read the Field Guide to the Future of Work, click here.